How do you feel about a several-hour walk deep under the ground in the galleries of a salt mine? 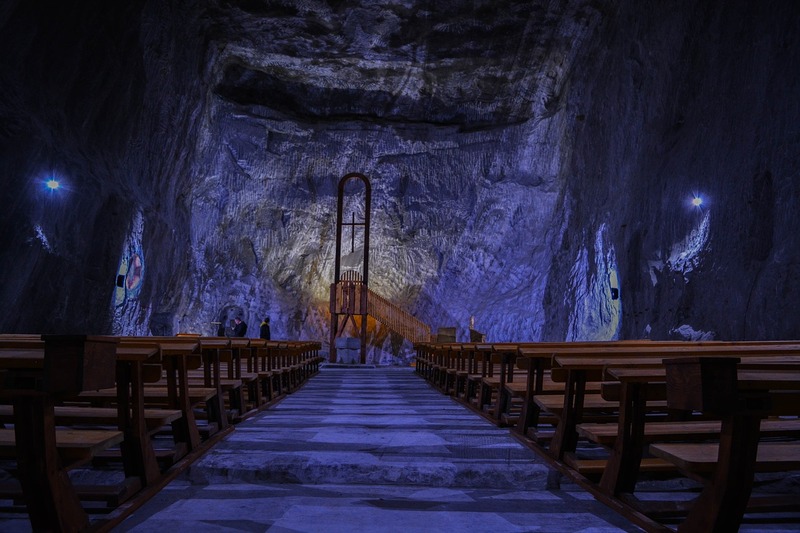 In many places around the world, old salt mines are now open to tourists. You don’t have to lick the walls to see if they’re salty – we already did it. 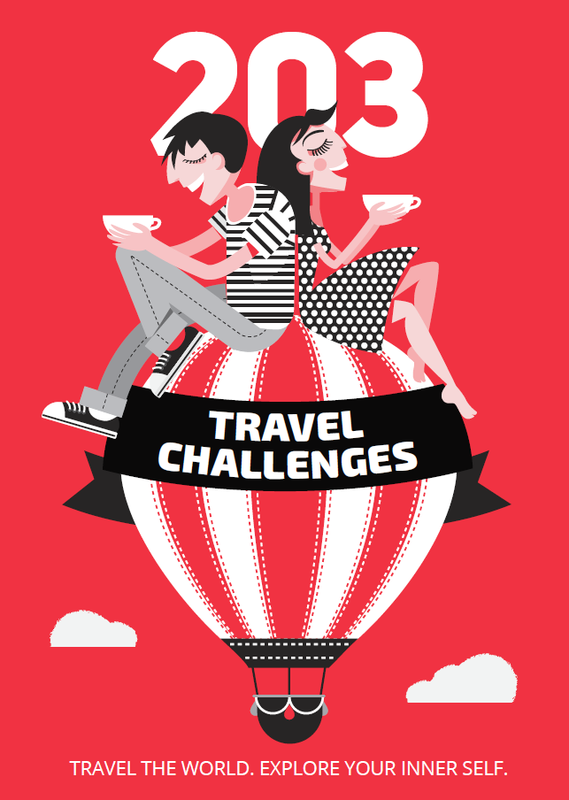 Why do it: Your little excursion to the salt mines is not only exciting but also healthy. Take a deep breath because you can breathe more easily there due to salt vapors – many salt mines have built-in treatment centers. 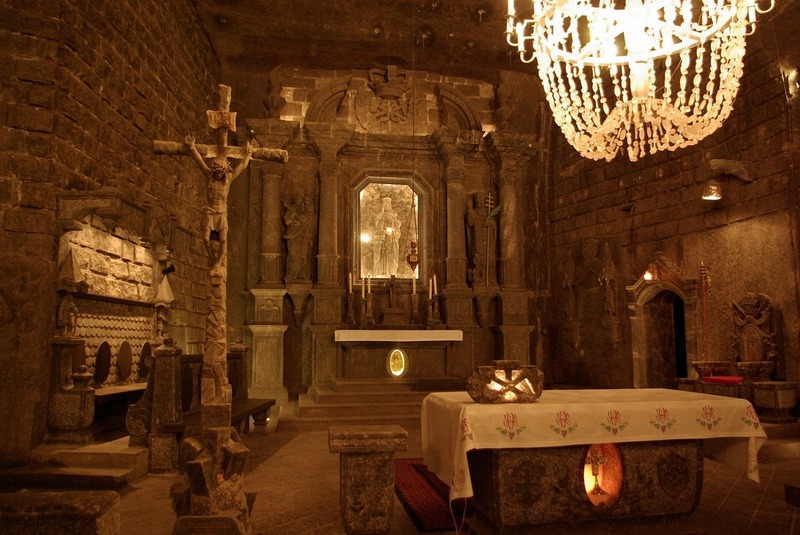 The Wieliczka Salt Mine in Poland is located 10 km (6 mi) from Krakow. It is 327 m (1072 ft) deep, tourists are allowed 135 m (442 ft) underground (to level three out of a total of nine levels). You will see salt formations, exquisite salt statues, underground lakes, several underground churches and will also learn about legends and stories. At 123 m (403 ft) underground, there is a restaurant. Turda Salt Mine in Romania is located in the northern part of the country, in the city of Turda. 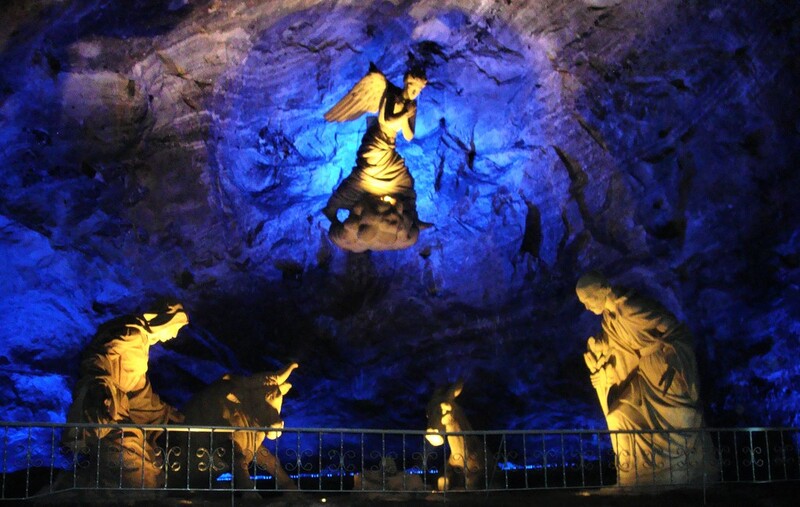 There is a real underground amusement park across several levels among the natural setting of the mine, which creates the feeling that you’re traveling to the Center of the Earth. In the middle of a huge cavity underground (15 floors deep), an enormous Ferris wheel rises. It turns very gently and slowly so that you can see the mine from every angle. 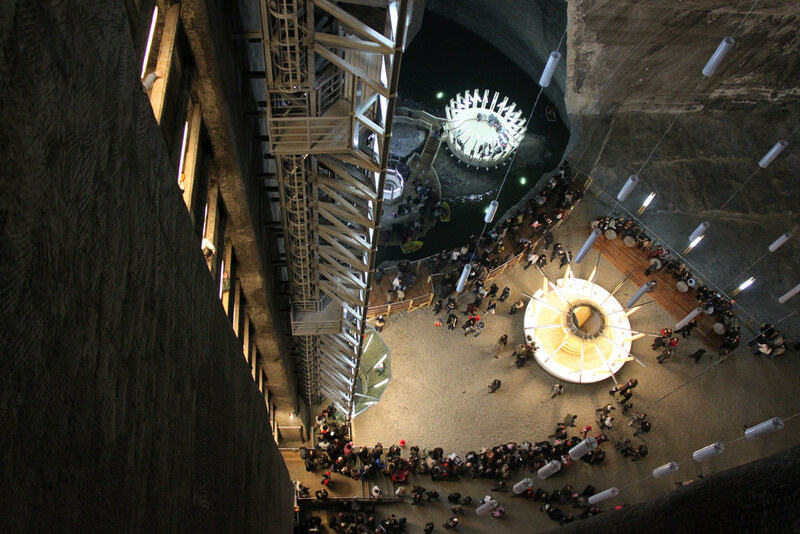 Salina Turda also boasts a mini-golf, bowling alley, row boats and the favorite of all visitors – panoramic elevators. The Salt Cathedral in Colombia – near present-day Zipaquirá, a town in the Andes, they have been extracting salt since ancient times. In 1954, however, a real architectural miracle was built inside the salt mine – a cathedral dedicated to the Patron saint of miners Our Lady of Rosary. Today there is a second cathedral below the first and it holds up to 8000 people. It is located near Parque de la Sal (Salt Park) with its museum of mining.